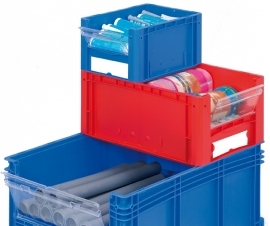 Picking containers, Linbins (small parts picking bins) and plastic storage bins allow for easy access, generally from an open side entrance. 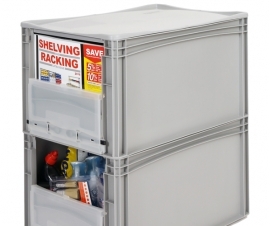 Linbins, storage bins, picking containers and plastic containers with windows allow for easy access to small items and parts. 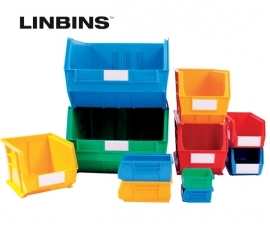 Linbins are plastic picking bins and seen commonly in most industries, especially where small parts need to be sorted and accessed regularly, for example: warehouses, storerooms and factories. 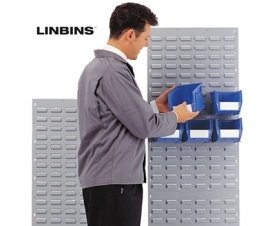 LinBins come in many colours and sizes and can be securely hung from wall fixed louvre panels. 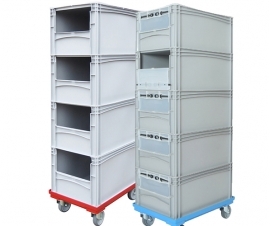 Louvre panels are also available on mobile trolleys and freestanding racks for added convenience. 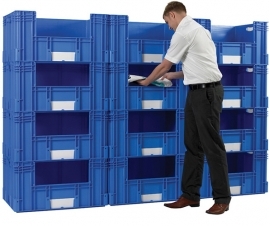 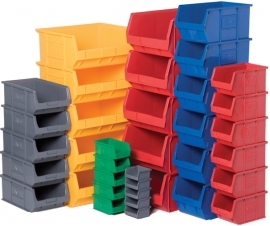 Euro picking containers are ideal for accessing products when containers are stacked, therefore saving you the effort of unstacking each container to obtain items stored inside. 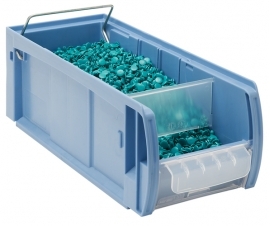 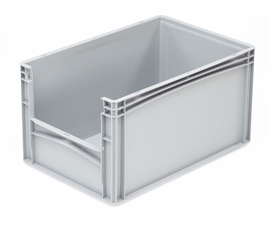 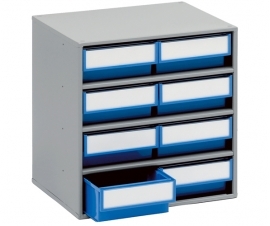 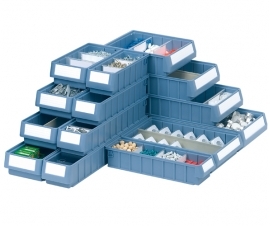 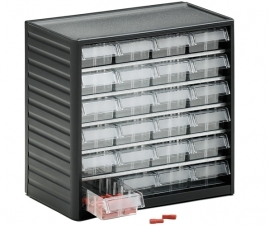 Tilt bins and shelf trays allow for smaller/tiny items to be neatly and easily indexed, accessed and stored. 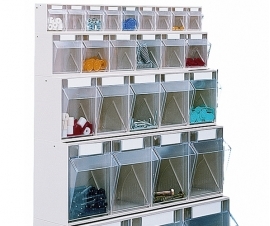 Linbins and Shelf Trays have the added option of plastic dividers, therefore making better use of your space.